A few uber-popular trends that I don't get. Twitter: I think it's fascinating and I have a Twitter account, but have never posted anything. I just don't think I have that much to say. This blog, Facebook, email and texting covers it for me. Several jobs I've been looking at involve Twitter, so I may need to venture over and learn more, but for now, I'm here. Twilight: I won't even throw in any jokes about their target age group. I simply have never given it a chance and now I feel like I'm late to the game. Add that to my lack of interest in vampires. Just not for me. The Kindle/Nook: I'm actually on the fence about this one. I love the idea of an electronic library, however, I feel like I'd spend more on my reading this way. I already buy used books and then trade/borrow from others. Can't do that with these devices. ****So, what trend are you missing out on? Why? I am totally with you on the vampire thing. I don't watch any of the tv shows with vampires either. I have a twitter account...not sure why.. i think i have logged on once or twice. Like you, I've got too much other stuff to keep up with. I don't have the internet or email on my phone. I am totally missing out on that. All of those you listed ;)! Can't think of any others right now. I held out on Twilight for the longest time. My niece bet me to read the first chapter. I must say...I was hooked. I'm not into vampires either. I have twitter too. It confuses me. Why do we need so many different social outlets? I'd pick Twitter over email, blogging, Facebook and texting. It's smarter and more entertaining than all of them combined. Agreed, Shannon, but I blog b/c I want to document our lives.....with pictures....and the stories.....which I wouldn't get from Twitter. I am intrigued by Twitter.....just not into it. Oh, but to answer your questions, I will never be a fan of voyeuristic shows about stupid people. Real Housewives, Jersey Shore, The Hills, et al. I've seen Kathy Griffin live many times but can't anymore since that's mostly what she talks about now. There's no way I could blog to keep track of our lives though. No way my kids would be ok with that. Most aren't as they get older. Twitter is my home boy. I am a HUGE HUGE fan of Twitter. I have a craptastic work schedule right now and it leaves little time to blog. And really working this schedule, leaves little time to do anything, so really I have nothing to blog. It sounds like I'm talking in circles doesn't it. I don't do vampires. I'm 34, not 16. I have a Kindle, but I don't use it very often....you know why, because I would rather spend my time on Twitter talking with complete strangers about things like The Real Housewives, Gossip Girl, Sister Wives, and sales at Gap. I don't Twitter or Twilight:) but I can facebook with the best of them:) Well, reading facebook that is! I update but not often! I don't do Twitter either. I hardly facebook anymore. I probably only log on twice a week. I was the same way with the Twilight series for so long but wanted something for the lake house...I was hooked after that. I miss out on so many things, and I think it's because I just don't care enough to "keep up" on the next big thing. Too much to keep up with these days! i can't think of any other "trends" b/c i honestly don't know what's out there anymore. since we cut out cable almost a year ago (we watch hulu, don't panic, just trying to save money) i don't hear about anything that's out there. No Twitter or Twilight for me. I've debated on the Kindle too. Everyone in my family has one except me (and Austin, of course) and they all love it. Trey wanted to get me the iPad for my birthday and I declined the offer. Why do I need that??? I have a computer and I have a phone. Maybe I'm missing out, but I'm good for now. Love Julie's comment - I'm 36 not 16. Sounds like something you would say, Case. All of your's I'm with you on! And I'm working on 1 brain cell so I can't think of any others, but your's are all on my list!! I don't get twitter either, have never seen/read anything from the Twilight series, and I like holding books and turning the pages. I actually use my cell phone to TALK to people. Rolling old school. My niece makes fun of me when I do text because I spell out every word and use complete sentences. Can I just say Ditto to everything you said? I don't get Twitter or Twilight. Like you I am on the fence about Kindle. I don't get the IPAD thing either - between phones and computers I don't see the need. you pegged it! i haven't tweeted in ... oh, a long... long time. i also STILL haven't read twilight (but have seen the movies and like them, just haven't had time for the book series...). i don't know about those kindles either... not opposed to them but i heart books! i still don't even have text messaging (much to the frustration of oh, every member of my friend/family community)... i am kinda lame. I don't get the vampire thing either. I do Twitter some but not really. What I don't have and/or have not caved on is the IPOD. I had one and couldn't figure it out and washed it in my gym bag. Also, I haven't totally caved on the IPhone either.. I don't twitter either, don't really get it. FB is fun, annoying at times too. Of course I love blogging. I just got an iphone a couple of months ago. I was behind the times there. I am behind on most trends though since I live in my own mommy land. I don't do the vampire or wizard thing. But I am with you on the kindle. 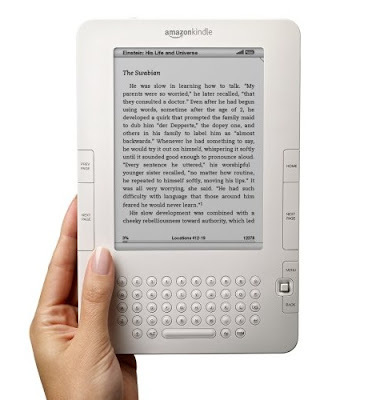 I really want one, think it would be cool to just get a book in seconds, but it would cause me to spend tons of money. I have stopped buying books and gone back to the library (about 95%). There is something about turning the page that is still good. We are not a WII family yet either, Christmas though I think. I am not on Twitter and I don't like vampires. I guess the fad that I think I may be old for is "skinny jeans". After having four children, I'm not sure they are something a mom should really wear. I watched the first Twilight movie...it was awful. I find that pale guy hard to look at. I want to give him a spray tan. I don't get the Kindle at all. But I am not a book person. I prefer magazines...with lots of pictures. I do however love Twitter! Yeah... Twitting, Tweeting, whatever it's called. Never done it. Don't get it. And not sure people care if I'm combing my hair, or going to the store. As for the vamps... well, I am obsessed. Twilight, True Blood, Vampire Diaries. Can't. Get. Enough. I don't do leggings... though I'm gonna try. But jeggings. Hell no! I don't get it. Pick one. Jeans or leggings. I also can't do skinny jeans without boots. Ick. I loved reading the Twilight series and the movies are o.k. but I don't get the loving vampire thing. 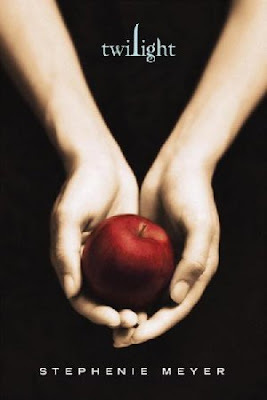 The books were really good, but why do we have to love vampires? I love twitter. Love. I am finding all sorts of uses and interesting things there. I am also on the fence about the kindle nook thing. I am not sure I get Jeggings. Why can't they just be leggings? I don't get Mad Men. That is all I can think of right now. Twitter is awesome. Twilight is even better. And we take our kindle with us everywhere. You're lame. If you all really believe Twitter is all about saying what you're doing right at this moment, I can see why you wouldn't get it. Why do you think anybody would be obsessed with reading that nonsense? It's a stereotype about Twitter that isn't really true. You choose who you follow and I choose to follow smart and funny people - not boring people who say what they are doing all day. I TOTALLY agree on Twilight. I have NO INTEREST and don't get the craziness over it. It's VAMPIRES. LAME. I have a Twitter account, but I rarely update a status. I'm more of a FB gal.